We get a load of "Sponsor me - I'm gonna be the next big thing" emails at Cotic HQ but when Dom Ferris got in touch with his proposal it was one we couldn't ignore. Dom is taking a sabbatical from his work at the charity Surfers Against Sewage, to ride the Oregon Timber Trail so he can raise awareness for his new venture Trash Free Trails. After organising teams who have removed over 250,000KG of rubbish from UK beaches and growing the number of beach cleaning volunteers from 1000 to 30,000, Dom's commitment to reducing litter in other areas spread to the MTB trails he loves. Plastic bottles, sweet wrappers, gel sachets, cable ties, inner tubes & tear offs are becoming all too common on every trail, in every country. You might think that doing great work for a charity, living in idyllic Cornwall and helping rid the world of single use plastics would be all you need for job satisfaction, but as we see so often, working so hard can often come at the detriment of your own mental health. Personal reasons have led him to ride for CALM (Campaign Against Living Miserably) alongside Trash Free Trails. The 670 mile pedal will hopefully help him find space & time to rest his busy mind. We supplied Dom with a Solaris MAX frame - our 29er, go anywhere, mile muncher. Burgtec provided the cockpit & Wilderness Trail Bikes helped with the rubber. Restrap provided the bags & Finisterre & Patagonia helped with clothes. 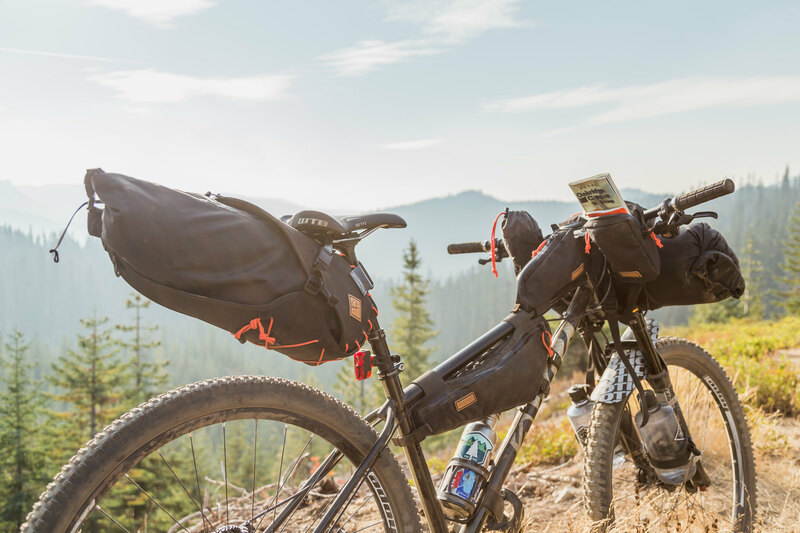 This build was put together with reliability & longevity in mind as when you're in the middle of the Oregon wilderness, worrying about your bike is the last thing you want to be doing. Steel is real people! So what can you do to help? Well following @Trashfreetrails on instagram is a solid start. There you can see his stories and read up on the journey as it unfolds. His justgiving page for CALM is set up and he's on facebook too but the main, best and most useful thing you can do is PICK UP YOUR LITTER! Easy huh? All changes start with you; awareness of where you are riding, how important it is and what you can do to better that environment, can only be a good thing.